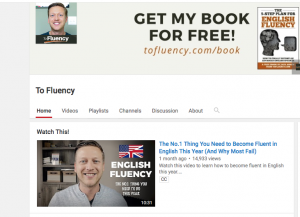 Since I started teaching English online in 2011, I’ve seen this space explode. There are many reasons why online teaching is so appealing. It opens up a lot of creative opportunities for you as a teacher, giving you the ability to go down your own teaching path and teach the way that you believe is best for your students. Teaching English online takes away the geographical restrictions. You can access any English learning market in the world, which gives you more leverage to charge what you feel you deserve. And of course, moving online allows you to teach from home or from anywhere. If teaching online appeals to you, this article will give you the information you need to thrive in this space. I focus on helping teachers or teachers-to-be do this independently. Before I share my best tips, know that there are different options for you. I’ve never done number one. I’ve had experience with number two. And I’m all in on number three. I got started teaching English through a platform for teachers. I created my profile, made a video, and set my prices. I soon got a lot of new students and received positive reviews. When I started, I didn’t have any training or prior teaching experience. I had just got back from traveling and needed something flexible. The biggest problem with teaching through an online platform is the sheer number of teachers there. Once people find out about new platforms, they get inundated with new teachers. If you advertise your services on these platforms, make sure you stand out. Be clear on who would benefit from your lessons and why. State what you can offer (your teaching niche) and use the platform to get in front as many potential students as you can. After finishing college, my wife got a scholarship to teach English in Spain. I enjoyed my initial teaching experience, so I got certified and we moved to Spain together. One of the reasons why I left the original platform was because they changed a few policies. I didn’t have any control over this. If you are investing time and effort into offering value for your learners, it’s wise to do this on a platform you own (more about this later). Going independent means that you can decide to teach what you want to teach. When moving online, all barriers are broken down. You can target any learning market in the world. If you want to focus on IELTS preparation, then you can. You aren’t restricted by your location. It also gives you control over how you teach. I enjoyed my time teaching in Spain, but I had to follow specific lesson plans and use methods that my bosses wanted me to use. When you are your own boss, you can follow your own teaching path and decide how you want to deliver your lessons. It’s worth stating at this point that this isn’t for everyone. You will need to put in the work if you want the rewards. Additionally, it comes with extra stress and you have to research taxes and everything else. If you want an online job, check out VipKid (if you’re based in the U.S. or Canada). But if you want to go independent, then read on to learn more! You will have to include the following in your initial setup: a VOIP service, a payment gateway, a cancellation policy, and although not a requirement, a headset. Let’s start with the software we need to have to be able to connect with English learners from anywhere in the world. Firstly, make sure that your computer and internet are fast enough and working as they should be. There is nothing more frustrating than having a bad connection when teaching. 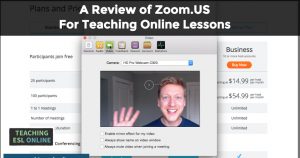 To be able to connect with students online, the best option is Zoom. I have moved my students from Skype to Zoom as the connection is better and it has fewer problems. If you’re looking for a simple solution – something that everyone has heard of – check out Skype. You are limited by what you can do, but the connection has improved a lot over the years and most students have experience using this. Note: if you want to teach your lessons using your phone, this is possible. You can use both Zoom and Skype, as well as other platforms such as Messenger or WhatsApp. PayPal is the obvious choice for receiving payments; it has been around for a long time and most online teachers use it as their tool of choice. I have used PayPal for years now, and after researching other options, I still use it. Getting started is really simple: after signing up, you can easily place payment buttons on your website (more about your website later), and send invoices directly to your students through email. When you send invoices, your students will receive a link where they can enter their payment details. This money is then transferred to your PayPal account, which in turn can be withdrawn to your bank account. A drawback of using PayPal is that it isn’t available in all countries. This link has information about the countries where it is accepted. Writing up a cancellation policy is something that every teacher needs to do. Keep it simple and stick to it. This will cover your back when students cancel or don’t show to your arranged lesson. Just having a policy isn’t enough; you have to clearly explain this policy to your students, and make sure that they understand what the consequences are when a lesson is canceled, or if they don’t show. A headset isn’t obligatory, but it certainly helps. Instead of a regular headset, I use the following: these earphones and this microphone. The value you get from these items is fantastic; the earphones, although very cheap, are really comfortable and they have great audio. The quality of the microphone is incredible, and many professional podcasters use this for their shows. If you prefer a headset, I’ve heard great things about this one. In most cases, Apple earphones (or the equivalent) will be sufficient. When I first meet with my students, I suggest that they use earphones or an external microphone too. This increases the effectiveness of my teaching, and also my enjoyment of the lessons. I’m not a legal or tax expert. Talk to a professional and ask about legal and tax implications where you live. Being an independent teacher means bringing in students yourself. In this section, I’m going to break this down and give you some short and long-term strategies. There are many things to consider; let’s start with the question of who you are going to teach and what lessons you are going to give. Being clear on your teaching niche is the key to thriving to bringing in new students. 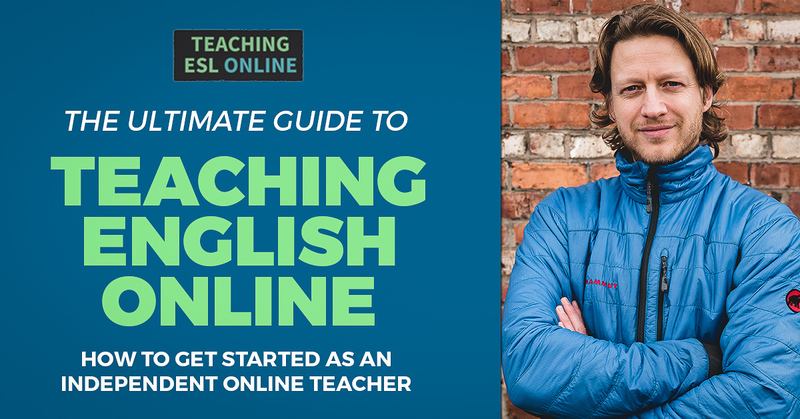 It’s not just good enough to say that you teach English online. Let’s say you want to focus on teaching conversational English. Great! But how are you going to teach these lessons? What type of learners do you want to teach? What materials are you going to use? Having clarity here helps you give the best lessons you can and it helps you attract the types of learners you want to target. Having said all that, don’t let this stage put you off from getting started. Your niche will evolve over time and it’s impossible to know what type of teacher you’re going to be without any teaching experience. There are many reasons to work towards becoming specialized in teaching a certain niche (more about this here), but one of the key reasons is making sure that you are targeting students who can and will pay you what you want to be paid. 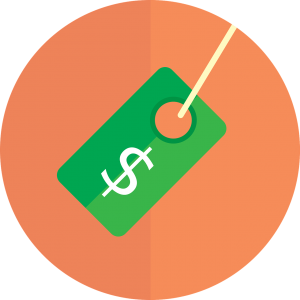 There are two different questions to answer when coming up with your pricing structure: how much do you WANT to earn? And, how much CAN you charge for students in a certain niche? The answer to the first question will vary depending on your circumstances, expectations, and earning goals. Answering the second question helps you find the niche that fits your income needs. The going rate for many established online schools is anywhere between $15 and $50 an hour (charging more is possible). To charge these sort of prices will involve you having to think about what type of students you should target, knowing where to find them, and then converting them into paying students. As well as having your base rate, you should also offer packages at discounted rates. Offering an incentive will bring in more students, and having students sign up for more than one class improves your retention rate and makes things easier for you. You should also think about how you want to approach giving a trial lesson. When starting out, I recommend giving away free trials. Yes, you will attract some freeloaders. But you will also get experience. Implement paid trials once you have more experience and higher demand for your lessons. For more about pricing, click here. At this stage, it’s worth noting that there are various ways that you can bring in an income when you teach online. Having a website is a must for the long-term. This online presence will become the center of all of your marketing efforts. 1. Have someone to build a website for you. 2. Use a drag-and-drop template based website builder (my recommendation is Weebly), and create your own site. If you want to reduce the starting costs, options two and three are the best. Both of these options will cost you between $3-10 a month if you keep things simple, and you’ll need to buy your domain name separately (use Godaddy for this). Weebly is great for starting out. I used a similar website builder for my first site but moved it over to WordPress in 2012. WordPress has become the platform of choice for web designers, and I can’t recommend it enough. There are certain things that you have to learn, but using our guide will help you get started. For more information on building a website, see this post. A big mistake I see teachers make is that they create their website without any type of sales system in mind. A learner will land on their site, take a look around, and then leave. What we want to do is to create a system that will convert learners into paying students. Choose one of those options and create your site so that this is what they do. 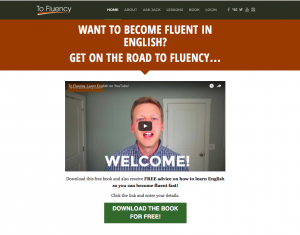 For example, when a learn visits my site I encourage them to download my free book. Once they download this book, they get added to my email list. I send them useful content and information about my lessons and courses. If you focus on giving one-to-one lessons, you can tell your learners to request a trial lesson with you. Put a big CTA (call-to-action) on your homepage, about page, blog posts… any page that you create. 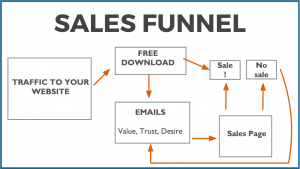 Once you have this system set up, you’re ready to bring learners on to your website. There are certain things that you can do to attract students now, while other strategies will bring in students over the long-term. The most important thing is to know who your target market is and where to find them. Being able to define your audience is the first step. This is often overlooked, but knowing as much as you can about potential students will help you bring them to your website and convince them that they will benefit from taking lessons with you. Most marketing strategies that are effective in this field can be grouped into two different groups: short-term and long-term. Short-term strategies include things like advertising and bring immediate results. This is perfect for when first starting out, or whenever you need to quickly fill your schedule. Some of these methods cost a little money, but there are many ways that you can do this for free. For example, you can post on sites like Craigslist and offer your services. Long-term strategies don’t have such an immediate effect, but once you have these established, your initial work will bring in students for the months and years ahead. These strategies include creating content on your site, improving your site’s search rankings, uploading videos, and using social media. For example, I create videos for my YouTube channel. At the end of every video, I tell my learners to download the book that I mentioned before. There are some videos that I made back in 2014 that still bring in a constant stream of students. How much content you create to help you build up a passive system depends on your goals, where you currently are with your online teaching journey, and what you offer. You may only want to use short-term methods. That’s fine. But be open to new ways further down the line. I can’t talk about getting new students without mentioning referrals. Referrals are the most efficient way to fill your schedule. You should concentrate your efforts on trying to get as many as you can. Just ask your current learners if they know anyone who would also benefit from your lessons. When I started teaching online, I initially had the mentality of being a lone-wolf; I tried to do everything on my own, worked in isolation, and hardly ever asked for help. But, I have recently changed my approach and have connected with many fellow ESL/EFL teachers. This has opened up a whole new world of opportunities for me. Since I have connected with others, it feels more like a group effort. I can now bounce ideas off others and ask for advice when I need it. And, my long-term goal for this website is to create a space where online teachers can connect and work together to succeed in online teaching. To find other teachers, use Twitter, Facebook, Google Plus, and LinkedIn. Put yourself out there and start creating relationships. There are some online courses that you have to pay an initial fee to have access to. However, there are many great free resources that I have found through my contacts. Here are three examples: Film English (lesson plans based on films), Breaking News English (lesson plans based on news articles), and for something more structured, Off2Class. I’ve used the above sites and many others for my general English lessons. What’s the best way to find these resources? Go on Twitter or the other networking sites and connect with teachers. I use Google calendar to keep my lessons organized, and several spreadsheets to record what I have done with my students and for other admin tasks. I save my lesson plans to Evernote. I use WaveApps to track the financial side of things. … I could go on and on. For more on this, check out my resources. These tools make our life easier and make teaching online fun. This is often the hardest part. My best advice is this: don’t wait to be perfect because that will never happen. Teach to get experience. Create videos to learn how to make better videos. Start marketing your lessons now. And read this if you want to learn more about making this transition. Thanks for reading. Please share if you found it useful! 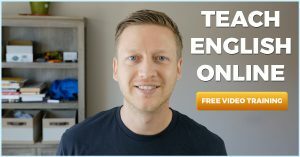 Planning for Your Online English Lessons and Where to Find the Best Resourc... LeadPages Sites Review: Is this New Website Builder a Game Changer?